Today I will start A New Historical Serie of videos in Spanish for PCM15.First I will start with Laurent Jalabert, a French super rider, which was one of the great stars of world cycling in the '90s able to win the sprint and one of those amazing cases where genetic endow a cyclist versatility and class that allowed him to fight for victory each time a dorsal stood. Jaja was loved in my country (Spain) in a very special way. His nine seasons in the ranks of the Team ONCE, were success and his charisma penetrate among the fans that felt almost like a cyclist from home. L.Jalabert, arrived at ONCE Team in 1992 after be a very good young rider in the Toshiba Team were was a fast man who defended really well in the classical calendar. Jalabert's career changed the July 3, 1994 when Wilfried Nelissen hit the police and Jalabert, who was walking behind him, could not dodge the bad luck to hit his head down and lost most of his teeth attached to several head trauma .This brutal fall changed his cycling career and began a transformation that led him to win the Tour of Spain the following year, in 1995.That ´95 year, added a fourth place to "Le Tour de France" to be followed by victories in major classics of the world calendar for years to come. Fleche Wallonne Classic of San Sebastián, Giro di Lombardia, Milan-San Remo, and in total more than 160 victories spread between Tour, Giro and Vuelta. Laurent Jalabert finished his career in CSC Team where in his last appearances in the Tour de France won two stage victories and two consecutive years, the polka dot jersey, along with victories in Paris Nice Tirreno-Adriatico and Tour de Romandie. With him I will start his last season in the ONCE team that saw him win everything as a cyclist in what will be the season of 2000. Together with Jalabert we have a superb Team with Abraham Olano, Mikel Zarrabeitia or Carlos Sastre to help us in our goal of winning all we hope. We will see what we can do with Laurent Jalabert. We Start Now Please feedback of all of you will be very appreciate ! Dernière édition par salinero le 20 Fév 2016, 17:40, édité 1 fois au total. today I will start a new historic serie in Spanish in the season of 1997. 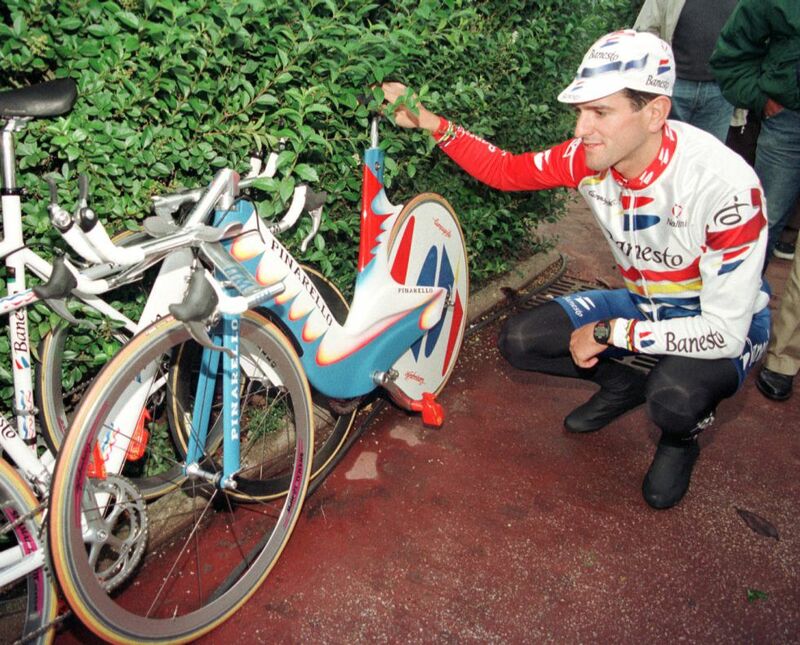 We will play with Abraham Olano, a rider who the press put on him an alias, "the successor of Indurain", and that transfer of powers, tried to raise a sports life of triumphs but never could equal Indurain level. Born in Anoeta, Abraham won lucrative contracts in a time when cycling was the second sport in acceptance. A.Olano won a Tour of Spain, twice climbed the podium of the Giro d'Italia and was world champion in route (1995) and trial (1998) and threw up electrifying evenings in the tour, in the late nineties. It was a figure, shy, but world-class. We begin what should have been his year of glory after the retirement of Indurain.He signs that year a contract with his new Team (Banesto) and was the leader of a powerful Banesto with riders like Chava Jimenez, Manuel Beltran and Manuel Fernandez Gines. Here you can follow all the episodes of this serie.